Why is Primvital Fibre helpful? it helps to maintain proper lipid level. It is hard to convince me to all those inventions that are so good to our health. Primvital Fibre was just another example. I saw it and read about it. Finally, I made a very wise decision. First purchase for a monthly treatment. After a week I already knew it won’t be enough, still, I didn’t want to risk by ordering so much. I’ve been using the Primvital Fibre for over six months and I know I can’t stop here. I need it everyday. Body detoxification came after a few days and the feeling was wonderful. Of course the beet test was successful. It’s hard to believe, but I was always told it had to be like this. Now I try to convince my family that it’s different. Thanks to the Primvital Fibre you can change that and lose some extra weight in the same time. Now I always order a big pack, not to risk any interruptions in my treatment. I could really recommend it to everyone. „I have quite a problem with my bowels. The doctors cut some cancerous polyps, so my health wasn’t perfect. I felt an enormous burden in my abdomen, felt uncomfortable all the time. My abdomen was hard, I had problems with defecating… lots of problems here. But after seven, ten days of using Primvital Fibre I noticed positive results! By the way, I drank more water. My peristalsis got really better! I have been taking statins for 3 years because of high level of cholesterol and triglycerides. When I chose a very rigorous diet and started to take them, my cholesterol dropped to a satisfactory level (approx. 200 – 220). 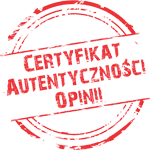 I read about statins and the last article I found – (http://nowadebata.pl/2011/11/08/statyny-medyczna-pomylka/) – made me certain that I should eliminate them as soon as possible. I started to search the internet for advice and something that could help me. Then I found the www.primvital.com website and decided to try. First I bought the Primvital Fibre. I have used it regularly, as instructed, for three months. After next two months I added the milk thistle. (During last-year blood tests I had poor results connected with the liver). I eliminated the statins. TOTALLY. I test my blood each year in December (in my age, 51, I try to do it regularly :-). I also did it this year. I took my results in December 2012. I haven’t been so happy for a long time. Cholesterol – 187, triglycerides – 140, liver: OK!!!! I forgot to add that I don’t have any special diet now. Not too many fats, but I eat almost EVERYTHING. Eggs, lean cold meat, meats, fish, potatoes, bread. My metabolism is MUCH better now, I lost some weight and keep it without any problems. IT SIMPLY WORKS!!!! I know, I was also skeptic about such letters and opinions. However, I tested it on myself, I called my friends, who had similar problems. Finally I decided to post this opinion, because you should share good things and the good always COMES BACK. Just like that. thanks to Primvital Fibre treatment I no longer have problems with constipation. It also helped me to lose some extra kilograms. The fibre swells in the stomach, so I didn’t feel hungry and lost 5 kgs from the beginning. My blood test results are also better, cholesterol level dropped significantly, I detoxicated my organism and now I feel great. 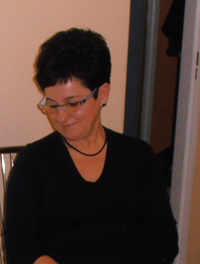 My name is Krystyna and I’m 52. For the last 15-16 years I’ve had a problem with constipation. I’ve used different formulations, including a various fibres that I bought in pharmacies and none of them have helped me. Teas give me stomach ache. Last year I was on a trip to China. While visiting one of their PHARMACIES, I took a health test with their doctor who uses your pulse and eye exams to diagnose disease. He diagnosed the problem with my digestive tract (constipations) and recommended treatment. The doctor speaks and understands Polish. I paid 110 Euros for a three month course of treatment. Chinese Medicine, while unconventional, is widely known for its positive effects but I hadn’t experienced it. 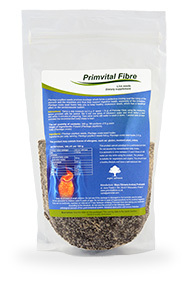 Looking for other supplements to help with my ailments I came across a PRIMVITAL FIBRE. „Not another fibre”, I thought to myself. I’ve bought fibre many times in pharmacies, all different kinds with different flavours. But after reading the reviews of some people who’d used Primvital Fibre I decided to give it another try but of course this time to use Primvital. Believe me, the benefits appeared after just a week of using it. I went through a three-month treatment and now, if I do not forget, I take one teaspoon in the morning. Thank you for this wonderful gift.